I'm selling my PS2 (with all my games), PS3 (with some games) and a printer (no games, what are you crazy?). Let me know if you want any or all of them (I'll cut you a deal if you want all of them). 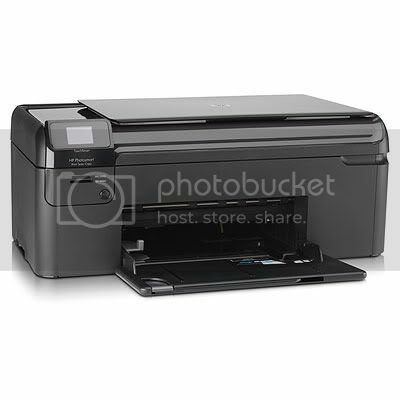 8 months old, it prints, scans and copies, color, touch screen operations, black. Retails for ¥10,000. Google it, it has pretty good reviews (8/10 average). I pretty much only use it for scanning, but the printing I have done looks nice. Ink is low because I only have the small (read: hardly filled) factory cartridges loaded, so I'm flexible on the price as those are somewhat expensive to replace. PS3 and printer are is still available. I know you know that I know that you want them it. Stop being so coy. PS3 still up for grabs. 6万 value for only 2万 (or best offer). It also does laundry and brews a mean cup of joe (these are lies). Let me know. If you want to come over and take it for a spin before you decide, you're more than welcome to.